Professional surfers often have nowhere to turn after their careers are finished, and typically, only the top 20-30 surfers in the world actually make the big bucks. Yet the rest still have an amazing skill set and are best suited to teach it. On the flip side, anyone wanting surf and SUP (stand-up paddleboard) lessons has generally been relegated to the mundane or lame. Connecting users with top-notch instructors not only provides them with better talent, but a better overall experience, as well. Before we kicked off the UX and UI, we did a branding phase that resulted in a clean wordmark and fresh color palette. 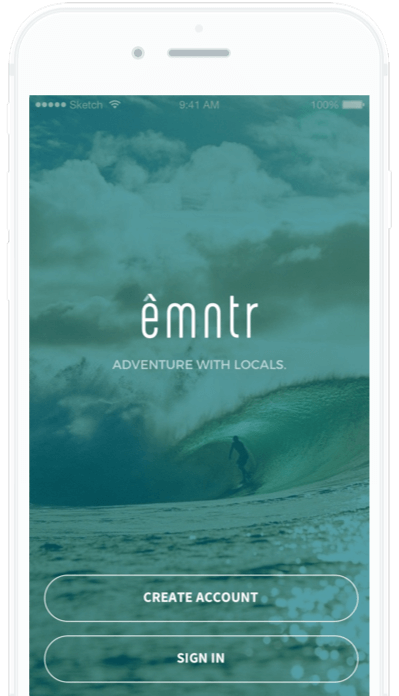 Our goal was to create an identity that took the positivity of surf culture, while also feeling appropriate the tech space. The client actually came to us wanting to do upwards of eight sports. So one of the first hurdles to jump was suggesting that they focus on one beachhead at a time and not boil the ocean. 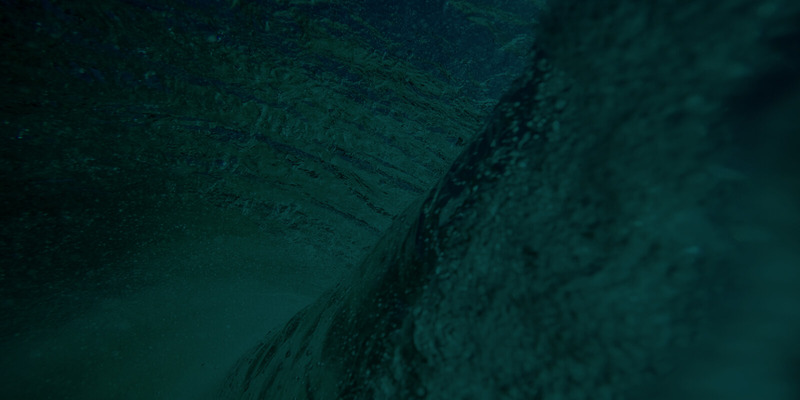 We helped scale the scope of the project back to surfing and SUP so we could specialize and then expand. Luckily we have some surfers in the office, so understanding the lifestyle and “vibe” of the design came relatively easily. 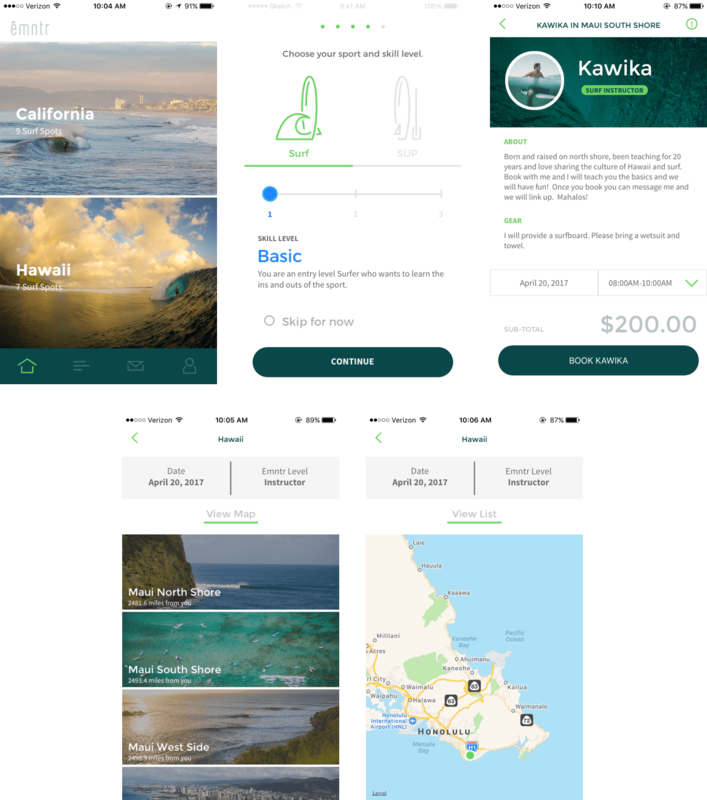 Through targeted user interviews, the UX team was able to home in on some of the common problems instructors face when meeting up and providing surf lessons. 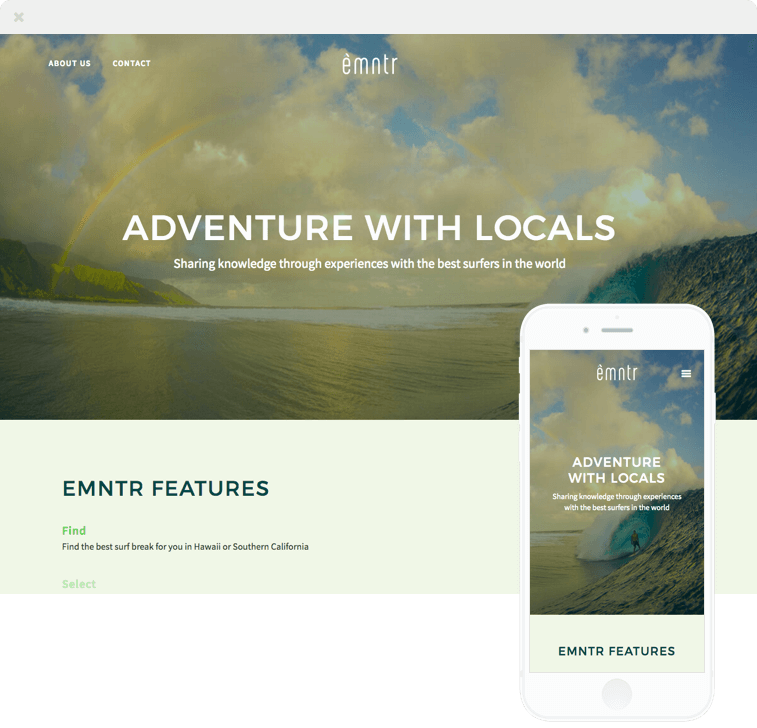 We then created a web dashboard that allows the emntr team to easily add new surf breaks down to their exact coordinates as they expand throughout the rest of the country, and eventually the world. We also built a website to promote the launch of the app, including copywriting and brand positioning through the design phase.